Combine potato flakes and water in large bowl. Allow to stand 2 minutes or until potato flakes are fully hydrated. Beat in peanut butter, butter and almond extract with an electric mixer on low speed until blended. Add powdered sugar 1 cup at a time, beating until smooth. Make 36 1-inch balls using 2 teaspoonfuls of mixture for each ball. Melt chocolate chips and shortening in a microwave-safe bowl at 50% power, stirring every 30 seconds. 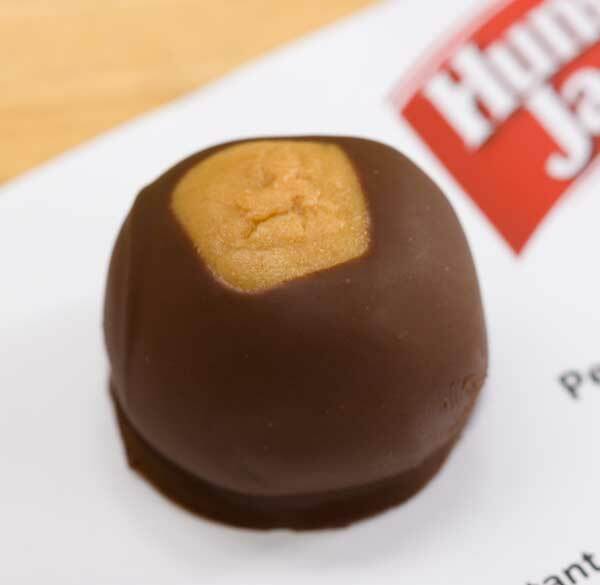 Dip peanut butter balls partially into chocolate, keeping the top uncovered. Chill until chocolate has hardened.